LED Leisure is delighted to have played a key role in developing a new and innovative social prescribing pilot project for the local community, called “Ways 2 Wellbeing”. 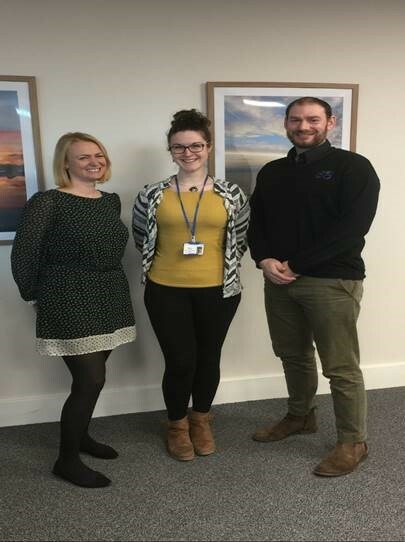 LED, alongside the RD&E NHS foundation trust, have jointly funded a full time Health and Wellbeing Coach to cover the Honiton and Seaton areas. As a result of the successful pilot, launched in July 2018, the RD&E have appointed a further 5 Health and Wellbeing Coaches to bring Ways 2 Wellbeing to the whole of East Devon. A number of partners were engaged to develop Ways 2 Wellbeing including East Devon Healthcare and Action East Devon. Social prescribing is a way of enhancing a patient’s health and wellbeing, with the help of a coach, to access non-medical community services. Patients suffering from loneliness, social isolation, mental health issues, physical health and fitness problems can all benefit. "It is fantastic to see how Ways 2 Wellbeing has benefited the people who have accessed the programme. LED are proud to have been able to support and grow such a worthwhile project in East Devon”. The ‘Ways2Wellbeing’ Scheme began taking referrals on 16th July 2018, with Honiton and Seaton as the allocated pilot areas. As a result of a successful pilot, the scheme has now expanded and went ‘live’ across East Devon on February 18th 2019. There are now 5 Health and Wellbeing Coaches, covering Honiton, Ottery St Mary, Sidmouth, Axminster, Seaton, Woodbury, Exmouth and Budleigh, collectively. After nearly 9 months, the scheme has seen 183 referrals across the cluster areas. From these, 97 patients have enrolled fully onto the W2W scheme. 25 people have been formally discharged from the project, all reporting an improvement in their mental health and wellbeing, as a direct result of taking part in the scheme.